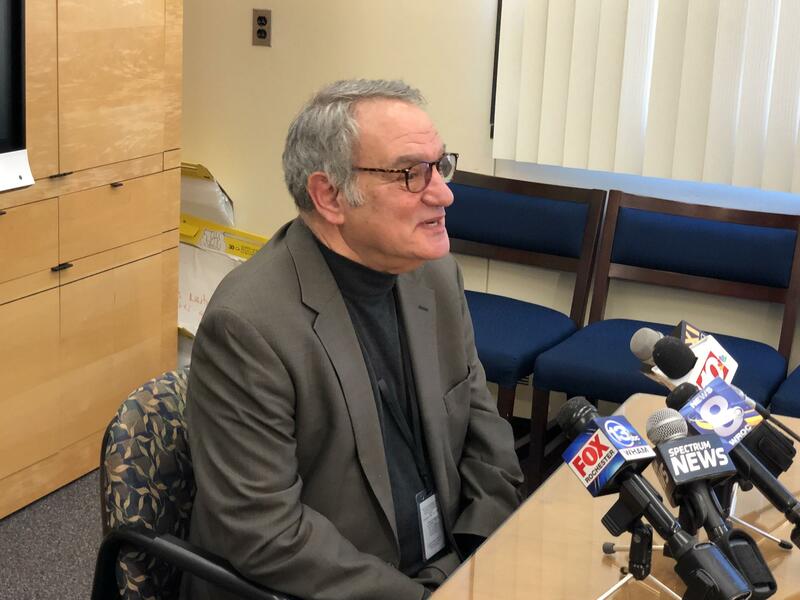 "Interim Superintendent Dan Lowengard fainted today during a meeting with school principals at the Rochester City School District Central Office. EMT's were called and transported him to the hospital as a precaution where he was evaluated and kept for observation. Mr. Lowengard was alert immediately after the incident and remains so at the hospital where he is speaking to his doctors, family members, and district staff. We will have a further update on his condition as soon as it is available." The Interim Superintendent of the Rochester City School District, Dan Lowengard, was taken to the hospital on Monday afternoon. Rochester Teacher’s Association President Adam Urbanski says he got that information from a high ranking official in the district, who said that Lowengard collapsed at a meeting with principals at Central Office. Urbanski was told that Lowengard was conscious when he was loaded into the ambulance. A spokesman at Strong Hospital tells WXXI News that Lowengard is listed in satisfactory condition.